During his lifetime John Lennon was photographed thousands of times. The iconic accessory that was associated with the world famous musician was his characteristically round lens eyeglasses. On the cover of Walls and Bridges, his fifth studio album, the cover shows a famous photograph of him wearing five pairs simultaneously, although technically the top pair is in fact a pair of Aviators. With a little research, you will find that Lennon wore a variety of vintage pairs of Windsor’s, modern pairs of rimless that had nosepads, heavy “Harold Lloyd style in black as well as fine wire sets in gold. The predominant design characteristic of all these frames was the circular lenses. Fortunately, because Lennon was photographed so many thousands of times, we have clear images of what he chose to wear from his obviously huge personal collection of eyewear, and from this, we can make accurate attributions as to his style preferences. The aforementioned round lenses were present in the vast majority of his eyewear, although he also owned and wore frames where the top of the circular lens was flattened in what was commonly referred to at the time as a “flat top”. This is particularly evident in a lot of the photos in which Lennon is seen with Yoko Ono who sported very large round lenses, usually set in large plastic frames, and Lennon adopted a habit of wearing his lenses in tortoise plastic frames as well. Any discussion of the John Lennon eyeglass look would have to acknowledge the presence of the design effort make by the ADLENS company who, in cooperation with the Estate of John Lennon, designed a series of John Lennon Signature Eyewear. With each purchase of these iconic creations, the ADLENS company donated ADLENS adjustable prescription eyewear to a developing country where prescription eyewear was not readily available. One might not agree completely with the ADLENS designers in their rendition of Lennon’s’ preferences, but one can clearly see the influence represented in their models. In choosing you own “John Lennon” look eyeglasses, you should make a series of decisions about design. Beginning with your established frame size, as in 50 /18/ 145, you need to determine if you are intending to incorporate purely circular lenses, or if it will be of a slightly modified circular design. Next is the decision about size. Will they be the massive circles that extend well above and well below the eye, or a more conservative size in the 35 millimeter range. All these variants are clearly identifiable as having been worn by Lennon himself, and you should feel free to choose your version. Next comes the nose bridge. As mentioned previously Lennon did frequently wear Windsor bridge models without nose pads in both rimless drill mounted lenses as well as fully surrounded horn rim, or metal rim frames. Interestingly , one of the style variants not found in commonly available photos of Lennon and his eyewear were half framed lenses with the frame passing only above or only below the lens itself. As for hinges and temples, Lennon most frequently wore cable end wire temples. However, there are well documented examples of him wearing fully plastic frames with broad prominent flat sided temple arms in a wide variety of colors and materials. 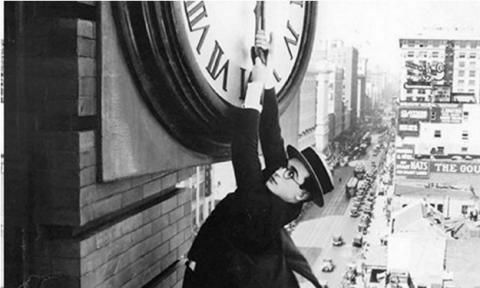 The Harold Lloyd models are particular examples of this. To simplify in conclusion, the best choice would most probably be a frame properly sized to your face, with lens sizes properly cut to accommodate your prescription needs, in a frame material of either pewter or gold colored wire rims with wire temples with cable ends, or the black horn rim frame terminating in conventional golf tip plastic temple arms. Both are clearly an homage to this iconic individual and his lifelong fascination with eyewear. Copyright © http://framefixers.com all rights reserved.